The Montclair Library was built in 1930, a gift from philanthropist Chauncey Gibson to the community. Over the years, many people have admired the library’s charming Storybook style architecture. 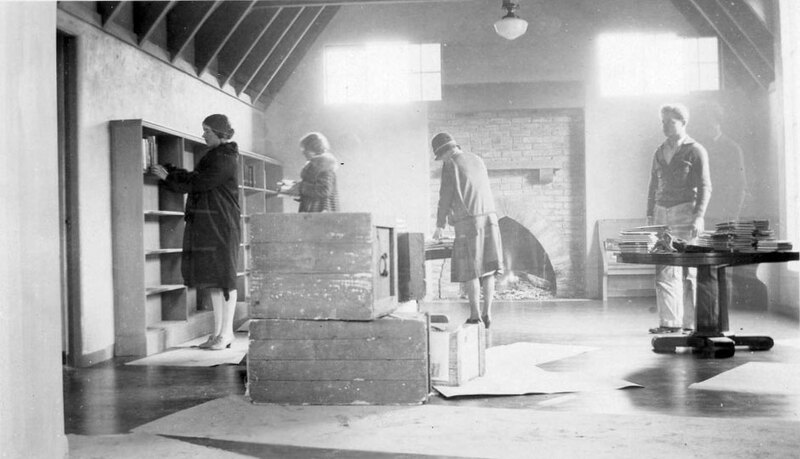 At some point, the library’s original schoolhouse-style lights (seen in this photo of people unpacking books onto the shelves in the brand-new library in 1930) were replaced with banks of fluorescent lights, which at the time were the most efficient option. On December 8, we’re kicking off a campaign to raise funds to replace the fluorescents with new energy-efficient, warm lighting LEDs made in a style that closely matches the library’s original lighting, and which provide a nicer light for reading and working – see the mock-up below. 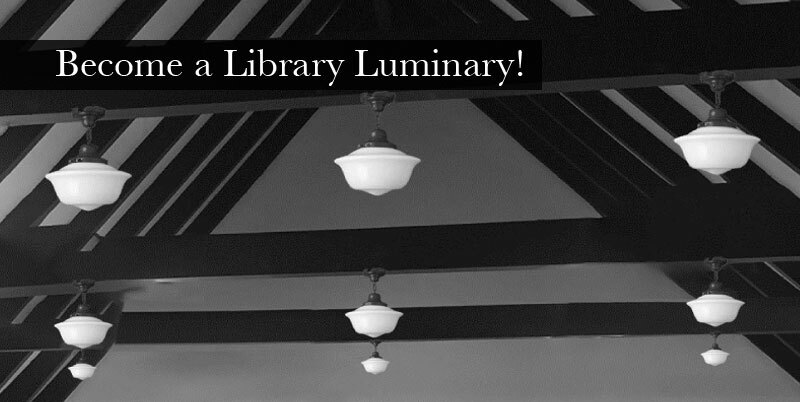 Help us restore the branch to its original splendor with a donation toward the new lighting! The Friends of Montclair Library have made a $4000 grant towards the project, and we’re looking for community donations to meet the other $4000 required to make the lighting upgrade happen. If you have happy memories of time spent in the Montclair Library, please consider donating towards our campaign. 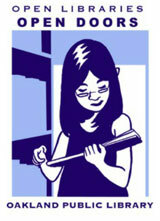 Checks of any amount can be made out to the Friends of Oakland Public Library (FOPL) and are tax deductible. Thank you for helping restore your community library!